When presenting Content Marketing or Agile Marketing topics to marketing associations, I often ask two questions. The first question is, “How many folks consider themselves Content Marketers or are adopting a Content Marketing strategy?” A little over half the room raises their hands, and each time I ask that question, I see more hands. I am also seeing an increase in people who attend the session. I wish I could say they are attending because they knew about me and wanted to hear me speak, but it is the topic that draws the audience. The second question I ask during the first few slides is, “How many folks have created and use their personas?” Usually 10% or fewer raise their hands at this point. This is expected based on the Content Marketing Institute’s survey of marketers. It shows the majority of us take on the process without a plan in place. Plans are very important when implementing any process and in Content Marketing, knowing our audience is the first step. A persona in marketing terms, is a person you create to represent a specific audience you would like to reach. The persona has characteristics that allow you to zero them into this audience type. Personas also contain the goals and values of the audience and ways you plan to reach the real people the persona represents. Personas add so much value to the process by giving your team a set of lenses to look at problems, goals, and how our content is addressing these. They are extremely valuable, but only due to the amount of work you put into them. If you make up facts and information about them, then the insights you come up with might not actually align to that target audience you plan to reach. Creating personas may seem like a silly exercise that can be skipped, but I plead with you that it is very important you spend time designing and researching your targets before you start down the road of content development. Why Not Start With Why? There is a great book by Simon Sinek called, Start with Why and I agree we should think about why we do things before do them, but if you don’t know who, it is hard to know why you are doing the things you are doing. Without knowing if you want to reach college faculty, dog trainers, or car dealerships, you can’t really know why you are building a certain piece of content. 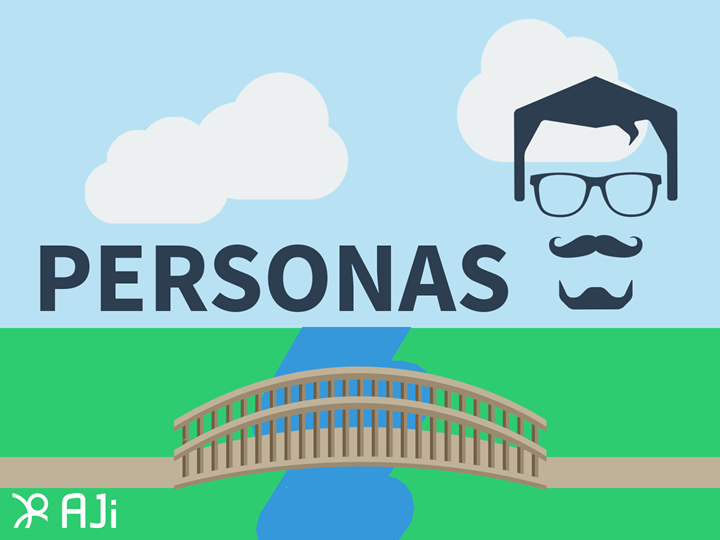 Personas – The audiences we are trying to reach and the role they will plan in our strategy. Goals – What are the personas trying to achieve. Content Types – The delivery vehicle we plan to use to reach our audience. Mission Statement – The outline and contract we will use to deliver consistent and on target content. High Level Topics – The large topic areas (or niche) we will cover to become thought leaders. Execution Strategy – The measurable and sustainable delivery plan we will use to get the content in the hands of our audience. Process Review Plan – The effort we will put back into reviewing the process to make modifications. The plans not only keep us focused, but they allow our team to grow and the plan is for them to grow beyond us. There are several additional components we could add to our Content Marketing Strategy and I challenge you to work on yours often. Content Marketing is all about audience. Who do we need to talk to, entertain, educate, and persuade with our efforts. Developing an audience and having them open their inbox, feeds, and lives to us is our end goal. One of the easiest exercises to find out who you are currently reaching is look at your existing customer base. Grab a list of customers from the sales or operations teams and ask them to pick their ideal customers. These are the customers that are easy to work with, pay on time, and they do quite a bit of business with us. We absolutely want more of these customers. Now that you have a list, what role is the person in who makes the purchase decisions? This is the buyer. If this is a committee of decision makers, who is one person who will go out and defend the decision when they pick us? In other words, who gets the bonus or loses their job based on our work? In B2C terms, who is embarrassed or frustrated if we don’t do a good job or deliver an amazing experience? Now think of all the parties involved during the decision making process. Could we deliver compelling content to them at any point in their lives that would allow them to appreciate our company more, and have them prefer us? If so, you have identified another potential audience. Do Personas Work For B2B and B2C? Absolutely! Personas can represent people and their roles in life, whether that is new mom, football players, people in need of a vacation, or a senior citizen in a consumer role. They can also represent a doctor, business owner, CEO, or Director of Marketing in a business scenario. The only thing that sets them apart is the metadata, or characteristics you choose to list. Details like job role, location, age, and goals all will add the extra detail we need to distinguish them as a person we want to target. Personas can be used throughout the entire organization to help us know more about who we want as customers and audience members. Personas can help a sales team know who an effective lead is and who makes the decision after we present our proposals. Personas allow a software team to pinpoint individual features for each type of user of the system. Personas can also help the User Experience team know what the user’s skill level is, frame of mind during the use, and what they need to do their tasks when interacting with our products and services. Personas help a leadership team decide it right now is time to change some operational direction of the organization to grow in people and resources. Marketing teams need personas to guide the content we create. If we are producing written content, we need a reader. If we are producing visual content, we need a viewer. These folks are hopefully our target audience members, and the more we can pinpoint what they need the most from us, the better we will succeed at Content Marketing. The more we learn about our personas, the more empathy we can have. Empathy is defined as the ability to understand and share the feelings of another. Empathy gives us that view of a person from their seat to see what it is like when they are consuming our content. We need to know what it is like to be a beginner or a seasoned professional. We need to know what it is like to read a horrible piece of content and how much impact a well delivered and tailored video can have on a person in need. One article comes to mind, for good reasons and bad. I founded a very popular blogging community in the 2000s for software developers and I had the first blog on the site. Well actually the second because the current owner was my test user during the development so he holds the lowest ID, but mine was the first one to post. My blog theme was software developer topics and the target audience was Microsoft Developers. One day I wrote a post about my Nissan XTerra’s windshield wiper blade sticking and the way I solved the problem. This article was way off of the target and in a perfectly executed marketing plan would have never made it to the site, but this one did. The article did very well and remains one of the most popular of my 1000 blog posts on the site. The reason I bring this up is if a Nissan dealership would have wrote the post on their blog, the over 10,000 viewers of that post would have been able to attribute their satisfaction and thanks to an organization who could help them with their next vehicle purchase. If it would have been written by the Nissan brand, the simple act of solving a problem that looked like it would cost money would be attributed back to the brand they have already chosen. Instead it was attributed to a person who doesn’t even own an XTerra anymore and will never talk about other ways to correct problems with the vehicle in the future. It is like finding a dollar on the street. It is valuable, but you can’t attribute it to anything but chance. The more we start to know what our audience is going through and find ways to affect their lives through content, like the example above, the more valuable we will be in their eyes and in turn build a place in their eyes as a thought leader. I often catch myself writing content for me and not the audience I am focusing on. Personas help us quit writing to ourselves and what we know at the time of production and make us focus on the consumer of content. This is extremely natural when you are marketing to marketers. Imagine getting to talk about the tactics you are using on a daily basis. The more I learn about marketing, the more I can share and continue to grow my audience with the same information I am learning. Pretty freaking cool but there are still major challenges. The problems arise when I just focus on learning what I want to learn and not what my audience wants to know. I will start producing work that is along my journey and not theirs. The work will be valuable to someone like me, but that might not be the best journey stop for the content we need at this point. The way around this is to allow focus on a persona and the goals they have. We do this in agile by ensure we have accurate information on our Content Items. Fields like Content Stories and How to Demonstrate Value will help us be sure we are not writing to ourselves, but the persona at that time and place. This article was syndicated from Business 2 Community: Why Do I Need Personas in My Content Marketing Strategy?